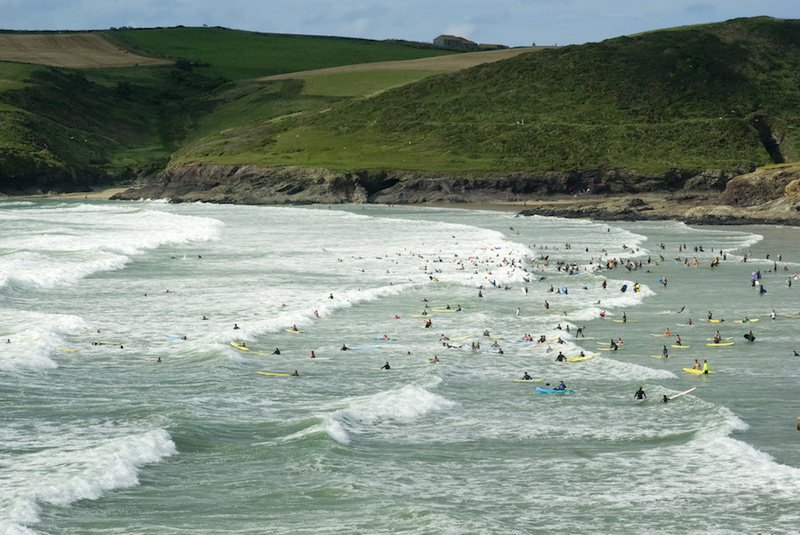 Often as gentle as a summer breeze but as consistent as Fistral, surfing at Polzeath Beach is popular with inexperienced surfers who lap up the waves that are rendered meek and mild by shallow shelves. It’s a beautiful beach that looks favourably on body boarders, knee boarders and surfer virgins, at low tide. Outer banks on either side of Polzeath Beach do attract the more experienced surfer in search of bigger peaks when a formidable swell is rolling in, but really this is a beach offering tranquil surf conditions. And it has plenty of places to eat and drink. Polzeath Beach is surrounded by more pubs, bars and cafes than you could shake your pint glass at. The Galleon Café, Finns, and Surfside are good cafés whilst the Doom Bar is a popular pub for those fresh out of weak waves and in search of stronger stuff.